The tea tini is a delightful little vodka martini that's perfect for spring and summer afternoons. It's made with your favorite vodka and works with any tea you'd like to brew, offering a pleasant and refreshing cocktail that is completely customizable. This recipe includes all of the customary elements for making a great glass of iced tea. It's simply spiked with vodka and served in a short, elegant presentation! Each ingredient is going to play a big role in the quality of your martini, so be sure to choose fresh ingredients, a premium vodka, and a tea you thoroughly enjoy. For the tea itself, black and green teas will create a nice cocktail. You can also give it a hint of chamomile, jasmine, lavender, or rosemary, either by adding those to the steeping tea or using an herbal tea blend. The possibilities are endless here, so have fun with the recipe and make the tea tini your own! Brew a cup of tea using the recommended time and brewing temperature indicated on the tea bag. Place it in the refrigerator to chill thoroughly. If you like, rim a cocktail glass with sugar by rubbing the rim with a lemon wedge then dipping it into a small dish of sugar. Knock off any excess sugar over the sink or garbage can. Strain into the prepared glass or a chilled cocktail glass. If you already have iced tea brewed and in the refrigerator, skip the brewing step. Likewise, if the tea has already been sweetened, there's no need to add extra honey unless you want it a little sweeter. Instead of honey, sweeten your tea with a liqueur. A honey liqueur such as Bärenjäger is ideal, though you can add extra flavor with Benedictine, which also has a honey base. You can even add a twist by sweetening the martini with amaretto or a fruit liqueur; apricot would be fun. If you're using simple syrup, it's easy to add more flavor to that ingredient as well. Consider a lavender or rosemary simple syrup to give your tea tini a floral touch, strawberry or raspberry for a fruity spin, or vanilla syrup for a nice richness. The vodka doesn't have to be unflavored, either. Play around with flavored vodkas, pairing different fruits with a variety of teas. Citrus vodka is a good all-around choice that works with almost anything, though you can create some interesting flavors with berry, melon, peach, and vanilla infusions as well. Another option for adding flavor is to begin with a fruity sweet tea that's already brewed and ready to drink. You will likely have to reduce or skip the lemon and honey completely. How Strong Is a Tea Tini? 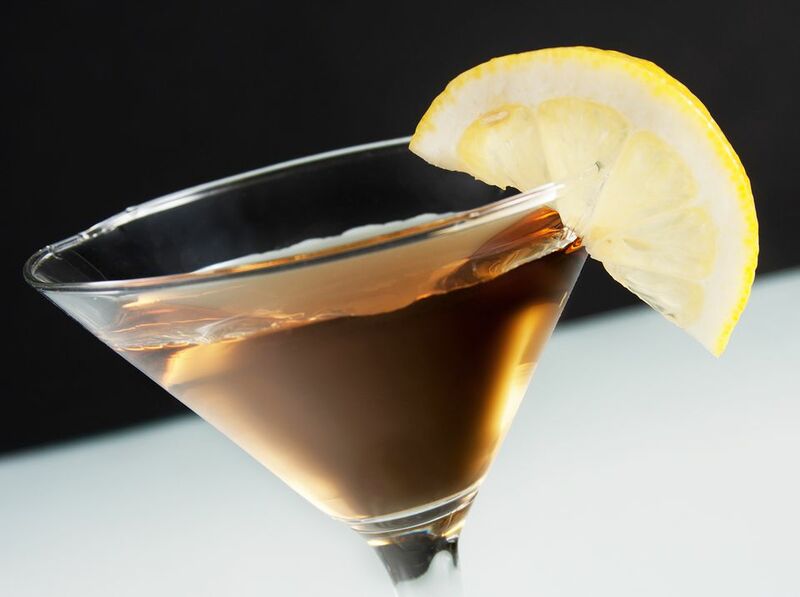 In the world of martinis, the tea tini is a relatively gentle cocktail. When made with 80-proof vodka and no extra liqueurs, its alcohol content averages out to 18 percent ABV (36 proof). That's just slightly lighter than a cosmopolitan.